Welcome to this edition of the Morning Drive Podcast; in today’s episode, we’ll answer that question that is one everybody’s minds - what is a mood disorder? ►U.S. 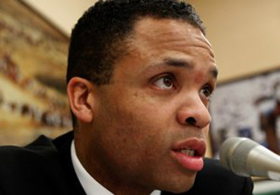 Rep. Jesse Jackson, Jr.’s office released some new information Wednesday evening about the ailment that has sidelined the Chicago Democrat for over a month. The release followed a wave of unconfirmed rumors and reports. ►Former WBEZ sportscaster Bob Greenberg died of cancer in a hospital in Williamsburg, Va. on Monday. Greenberg, who worked at the station from 1975 to 1990, never actually watched the sports he covered, as he was blind. ►It could soon be easier for minority and women-owned businesses to get contract work from a Cook County government department. Several levels of government around Chicago and Illinois have programs meant to help make the process more fair for minority and women-owned businesses to get government contracts. ►Teachers at Chicago Public Schools claim the district is creating a financial crisis to justify underpaying them. ►In his new biography, Barack Obama: The Story, Pulitzer Prize-winning journalist David Maraniss pours four years of research, hundreds of interviews and a meticulous review of thousands of documents, letters and journals into a nearly 600-page, multigenerational portrait of the 44th president. Maraniss’ account has raised questions about the president’s memoir, Dreams from My Father. Maraniss spoke with WBEZ’s Steve Edwards yesterday on the Afternoon Shift. 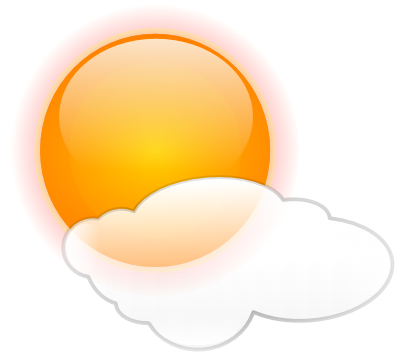 And your WEATHER for today - mostly sunny and partly cloudy, highs in the lower 90s, except mid 80s near the lake. then tonight, mostly clear lows in the upper 60s by the lake, lower 70s downtown. some winds into the early morning. Then Friday, partly cloudy, 20 percent chance of showers and thunderstorms in the afternoon. highs in the upper 80s - friday night, 20 percent chance of showers and thunderstorms, lows in the lower 70s. Today&apos;s featured music is courtesy of Bon Iver&apos;s "Minnesota, Wi."